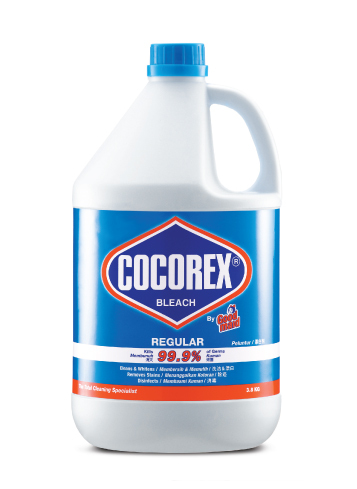 COCOREX - Goodmaid Chemicals Corporation Sdn. Bhd. 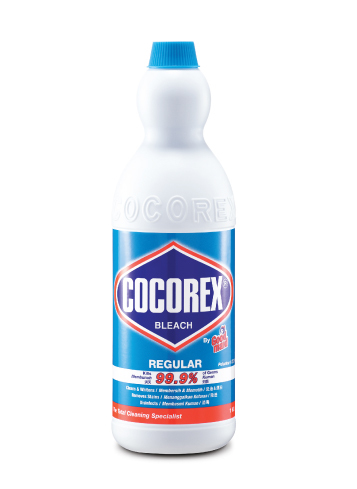 • Use in kitchen and washroom area, including floors, walls and countertops to remove tough stains, sanitize and disinfect. • Also excellent in towels and table cloth whitening. 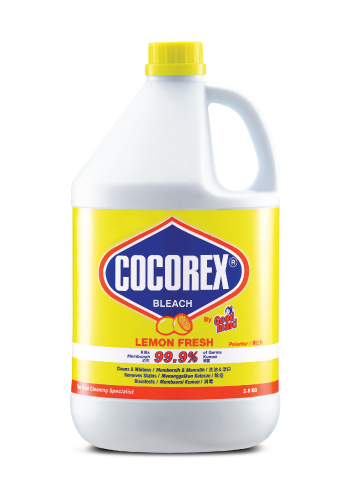 • Add 40ml of bleach into 10 litres of detergent solution. • Soak garments for 15 minutes. • Add recommend amount of detergent. • Add 100ml when wash cycle commence. 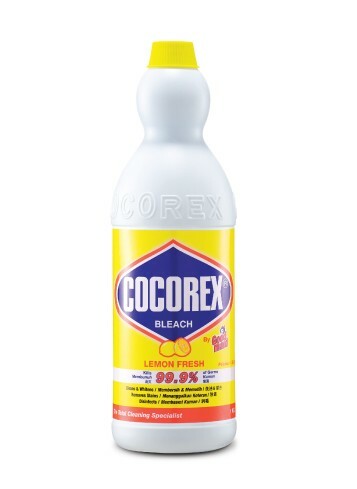 • Mix 100ml of bleach into 2 litres of water. • Mop or wipe surfaces with solution. • Leave for 5 minutes. Rinse and air dry.